Please Use: https://www.nuget.org/packages/Coinbase/ The Coinbase.Mvc DLL has been deprecated. The JsonNetBinderAttribute is no longer needed when the Notification model is used. * For MVC projects, please use Request.InputStream to extract the callback JSON and pass the JSON as an argument to api.GetNotification(). * For Web API projects, you can use the Notification class directly as model. 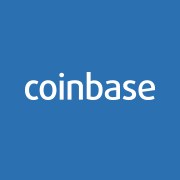 * Compatibility with Coinbase API v2. * Checkout redirect URLs are generated by api.GetCheckoutUrl(response), where response is the return value from api.CreateCheckout() and api is CoinbaseApi.